You used to take your work shirt for granted, but after that last close call when you almost caught yourself on fire - you have to reconsider your feelings toward your men's workwear. This Ariat Men's 10013518 Navy Blue Flame-Resistant Long-Sleeve Shirt will protec ... (see full details) (see specifications) #45587. You used to take your work shirt for granted, but after that last close call when you almost caught yourself on fire - you have to reconsider your feelings toward your men's workwear. This Ariat Men's 10013518 Navy Blue Flame-Resistant Long-Sleeve Shirt will protect you around potential flash fires, electrical arc flashes, and other high-heat situations, thanks to it meeting the NFPA 2112 and NFPA 70E standards for fire safety. The National Fire Protection Agency's 70E is a standard for electrical safety requirements for employee workplaces where there may be arc flashes. For oil and petroleum industries, the 2112 regulation mandates that employees must wear flame-resistant workwear if there's a risk of flash fires. 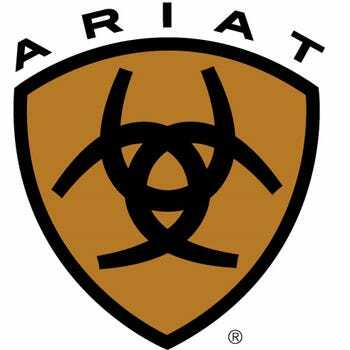 So this Ariat shirt really means business. It also has an ATPV (Arc Thermal Performance Value) of 8.9. The ATPV is a rating assigned to flame-resistant clothing, which indicates the level of protection the wearer is provided. The men's shirt has yet another rating - an HRC (Hazard Risk Category) level 2 rating, which is another rating system for FR clothing. This lets you know what level of protection a work garment provides to you as well. The flame-resistant shirt is mad tout of 100% cotton, and it will guard you when things get heated. This Ariat men's workwear weighs just 7.2 ounces, so you'll have lightweight protection you can count on when you're on the job site. The navy blue shirt also features Ariat's Moisture Movement Technology, and this pulls moisture away from your skin to keep you feeling dry and comfortable. Perspiration is brought to the outer evaporation layer, where it can quickly get away from your body. It's important to stay cool, especially when you're working around open flames and other heat-intensive hazards. The design of the Ariat workwear incorporates the Greater Arm Mobility technology, too, and this allows you to have a full range of motion. It has a three-button design for added versatility. Order this Ariat Men's 10013518 Navy Blue Flame-Resistant Long-Sleeve FR Shirt today from Working Person's Store, and once you have it, don't ever take it for granted. It'll guard you when things get hot. I absolutely love the look and style of a henley and I could wear them year round. They are great to wear individually and in the winter time they are perfect for wearing under a flannel or a denim top. Being that they are fire resistant it is a perfect piece to add to your wardrobe. Great item at a great price. This is my first henley ever just never had the interest in the design. I like that it is authorized for the factory floor but dang I can't wear it unsnapped like I want to but either way it is very comfortable. I did have an slight issue with a bit of shrinking so avoid warm water and drying it on high. Ariat Shirts: Men's 10013518 Navy Flame-Resistant Long-Sleeve Henley Shirt is being added to your cart.